New York Congressman Paul Tonko is hoping to build on a brief conversation with the president this week as part of the ongoing battle against opioids. Tonko, a Democrat from the 20th district, has taken an aggressive stance on the issue: he made national headlines at the State of the Union Address when he showed President Donald Trump a photograph depicting of a retired Troy firefighter and Trump supporter, sharing the man's story about the death of his daughter due to opioid abuse. "It did connect because he said 'we'll talk,' and then when he descended the podium after the speech he said 'the opioid crisis,' and I said 'absolutely' and acknowledged that we have to work on this together, Republicans and Democrats, legislators and the president and governors, we need to work on this, because we're gonna lose our family members, our loved ones, our children, our parents, our schools, our communities. They're at risk here. And the thing about addiction and substance abuse disorder, which is a disease of the brain, is that it knows no boundaries, it knows none whatsoever." Trump, who declared the opioid crisis a national emergency more than three months ago, did spend a portion of his speech focused on it. "Never before has it been like it is now. It is terrible, we have to do something about it. In 2016, we lost 64,000 Americans to drug overdoses. 174 deaths per day. Seven per hour. We must get much tougher on drug dealers and pushers if we are going to succeed in stopping this scourge." 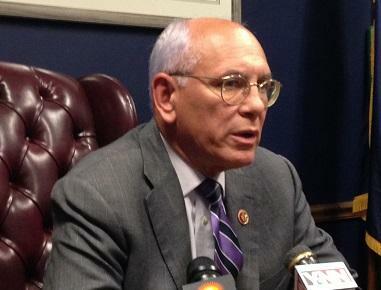 Over the weekend, Tonko hosted a roundtable with constituents about the faces of addiction and recovery. Thursday he visited Camino Nuevo, an Albany treatment facility which provides recovery programs, medication-assisted treatment and a safe-haven for individuals in recovery. "When you lose 64,000 people as we did in 2016 to this disease of the brain, it's important for us to adjust our thinking, re-do our priorities and commit to the resources that will be required to make this happen." 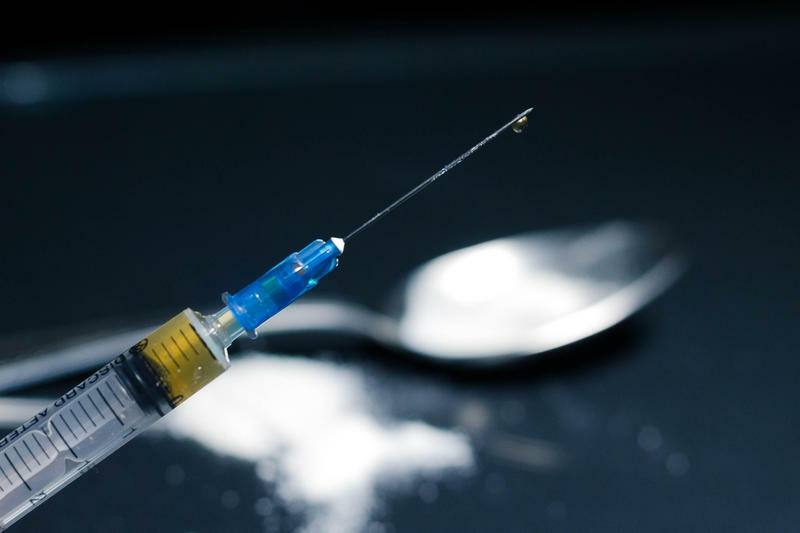 Town of Colonie Deputy Police Chief Mike Woods says his department, like most police agencies across the country, has made several arrests of low-to-medium level heroin dealers. "We need to have more resources out there when we run into people that have the opiate addiction. We need more treatment centers. We need funding for these treatment centers." 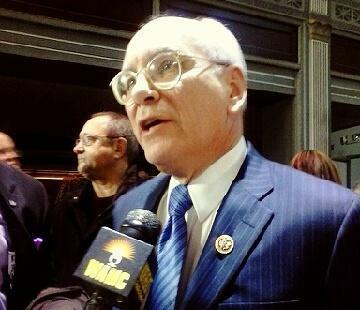 The Congressman hosted another "Talks with Tonko" at his Albany office Thursday, speaking with experts and local officials whose work connects them in some way to the opioid epidemic. Keith Stack is Executive Director of the Addictions Care Center of Albany. "We're just seeing the demand and the need for treatment just grow dramatically. And our ability to provide services is limited by the lack of funding, so, it just puts a great deal of pressure on our staff, on the treatment system in general. We need more resources to address the heroin epidemic." Back on the police beat, Woods notes Colonie town officers are trained and equipped to respond to drug-related emergencies. "All of our officers carry Narcan on the street, that type of training, we've actually had the mental health professionals and the medical health professionals come in to our in-service training." Congressman Tonko has proposed two pieces of legislation — the Addiction Treatment Access Improvement Act and the Medicaid Reentry Act — to help fight the spread of addiction. H.R. 3692 - the Addiction Treatment Access Improvement Act would build on progress made under CARA, adding additional nursing specialists to those able to prescribe MAT and codifying a cap increase for the number of MAT patients doctors can treat at any given time. H.R. 4005 – the Medicaid Reentry Act would allow states to restart Medicaid benefits for beneficiaries leaving jail or prison 30 days before release. Members of Congress are allowed to bring a guest to the State of the Union. Tonight, Albany area Congressman Paul Tonko, will be bringing a guest to point out the need for immediate government action on the opioid epidemic. A New Hampshire training program that teaches police officers and prosecutors how to treat drug overdoses as crime scenes is emerging as a model for other states grappling with the opioid crisis.